When searching cars for sale, how much of your process is done online? With today’s technology being what it is, it’s hard to consider how manual the process of car shopping had been pre-internet. No longer do you need to travel from dealership to dealership, engaging in countless dead-end conversations with salespeople. No longer are you forced to sacrifice your free hours, or have your time wasted. Technology has also enabled dealerships to differentiate themselves. At DePaula Chevrolet we believe that to truly embrace a new style of buying cars, you must also embrace a new style of selling cars. Discarding any stigma attached to car sales, we aspire to create a fully-transparent process. Beginning right here at depaula.com, we provide our customers with tools designed to help people shop cars for sale on their own time, and on their own terms. We value people’s time, because we value people’s business. Whether you’re interested in a new, used, or GM-Certified Pre-Owned vehicle, we have hundreds of vehicles on our lot at all times. From the accessible Chevy Spark with a starting MSRP of $14,975, to high-end performance Corvettes and Camaros priced on individual merit, we have it all. But relying on our inventory isn’t enough. Translating it into an easy online shopping experience creates a more customer-centric relationship, which is what we want for you. With an extensive profile made (and maintained) for every vehicle on our lot, you can access our inventory from the comfort of your home desktop, laptop, tablet or smartphone. Each profile includes a wealth of information prepared to save you time. Since “looks matter” we prepare a video introduction, and photo gallery for every car. Take a virtual walk around whatever catches your eye, examine the interior, and even get a look under the hood. Try it (but we warn you, our selection is large enough that you might end up spending more time than you had planned to). Scroll down within any profile and find a wealth of information to empower your choice. An itemized breakdown of manufacturer specifications is just the beginning. Our profiles offer the same visibility of mechanical and tech specs, safety features, and a detailed breakdown of entertainment features. Take the time to explore any premium options you may have available to you, and determine the perfect vehicle for you. If you’re shopping our used and pre-owned inventory, you can also expect to find details specific to those vehicles (as opposed to relying on original manufacturer specs). And if that’s not enough, we offer CarFax History Reports at the click of a button. After all, why should you have to ask for the assurance of reliability in a vehicle. (Simple answer, you shouldn’t have to). Speaking of assurance of reliability, why not consider our extensive inventory of GM-Certified vehicles? With low-mileage (less than 75,000 miles), these vehicles represent the last five model years. While this provides insight as to vehicle life, the GM Certification means that each has undergone an extensive 172-point inspection to confirm that the vehicle meets factory standards. If any part or operating system does not meet factory standards, it is refurbished or repaired with GM-Certified parts before it ever hits our lot. Select one of these vehicles and receive a Powertrain Limited Warranty for 6 Years / 100,000 Miles (whichever comes first) and a Bumper-to-Bumper Limited Warranty for 12 Months / 12,000 Miles (whichever come first). If you’re trying to decide between a few different choices, you can make use of our comparison tool that allows you to view different vehicles side-by-side. Measure vehicles based on the merit of features that are important to you! We’re confident that you can find your perfect next vehicle here at DePaula Chevrolet. Once you’ve done so, our goal is to keep things simple for you. Within each one of our profiles, you’ll find a number of icons providing you with easy access to our customer toolbox. First, are you planning to trade a vehicle? We can help you to value your trade-in online, providing you with an adjusted price tag for the vehicle that you’re looking to buy. With that, you can use our payment calculator to confirm that it’s within your budget. 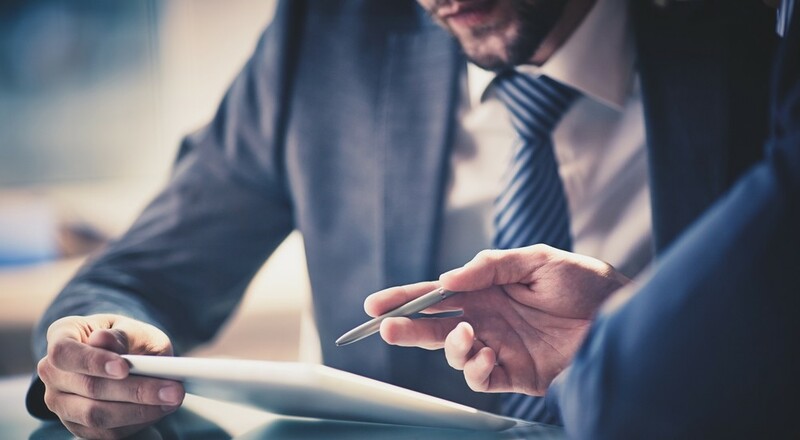 These are all very important, and very personal steps, and we believe that you have the right to personally perform your due diligence when and where it suits you. If you’re still unsure, and would like to schedule a test drive, rest assured that you can do that online as well. And since you’re planning to come down for that test drive, why not minimize the burden on your time by clicking on our Finance tab? From here you can apply for financing, and get the ball rolling. After all, we take great pride in our vehicles and our service, and are confident that a test drive might leave you eager to make the car your own. But we want you to have more than a satisfying car-buying experience. We want you to have a satisfying car-owning experience. This comes with the reliability of routine scheduled maintenance, and a dedicated partner to help with unexpected service, repair, or collision work. In addition to employing expertly-trained technicians, DePaula Chevrolet makes it easy to schedule any appointment online. Click on our Service tab to see how easy it can be to keep your vehicle running in tip-top shape, when you have a dealership that truly values you. Just create an online profile, and you can schedule your next appointment with ease. It’s so simple. You deserve to find your next vehicle in whatever way, and within whatever timeframe, as you decide. At DePaula Chevrolet, we believe that dealerships are responsible for more than just maintaining inventory. We hope that you’ll utilize our online tools to create a tailor-made buying (and owning) experience, deserving of both your time and your business.